The all-new Shelby GT500 has been introduced at the 2018 Detroit Motor Show. Ford says it’s the quickest street-legal acceleration with 700 horsepower and most high-performance tech to date ever offered in Ford’s history. 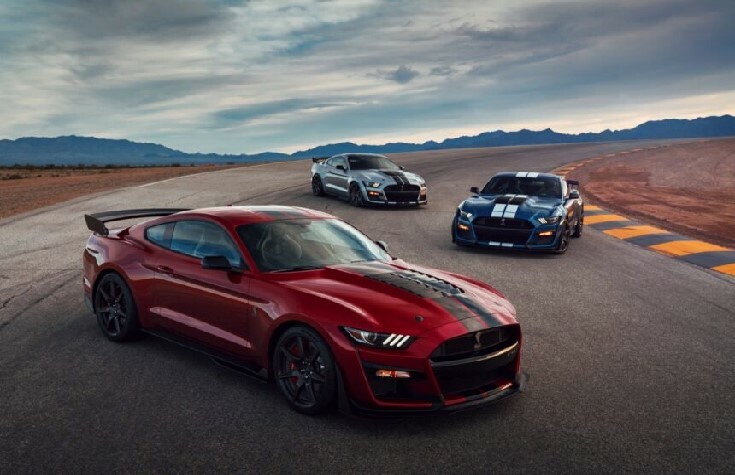 The Shelby GT500 to join its mate the GT350 to get the first-in-class dual-clutch transmission. It also has a supercharged 5.2-liter aluminum alloy engine. The car makers inverted a 2.6-liter roots type supercharger with intercooler tucked in the V8 engine valley to make the car’s intake air cooler and also to deliver a lower center of gravity. When the automaker company, Ford announced in April, it was done manufacturing cars for the U.S., and would instead concentrate on the SUVs and pickup trucks that Americans wants. There‘s one exception, one – the Focus Active, the sporty hatchback which was built in China won’t be purchased by Americans, thanks to President Trump’s tariffs. The outgoing GT500 was fast and quick with 0 to 60 mph. The latest model is adding another 39 horsepower and probably a standard 7-speed dual-clutch transmission as well developed with Tremec. So now there’ll be no manual transmission. With some shifts in as little as 100 milliseconds, the new gearbox will be quicker than a 3-pedal setup. It has various drive modes such as Normal, Sport, Weather, Drag and Track that optimizes transmission behavior for driving at hand. Interestingly the sports mode is designed to produce the fastest shifts while the track mode focuses on smoothness to keep the vehicle from getting out of shape. Ford’s latest move away from a DIY gearbox can be annoying to some self-anointed muscle car traditionalists, but it also came up with a thousand other changes that can be helpful in many ways. Just like its sibling, today’s 526 GT350, the GT500 begins with a 5.2-liter aluminum-block V8. With big blower honking away at 12 PSI, its engine requires high cooling and lubrication capacity. Latest GT500 features some unique suspension geometry with lighter-weight springs embedded at all four corners.